Discussion in 'Game Development' started by ElliotHC, Apr 11, 2019. How is the gold_bolt.png in Space Shooter called? I want to replace that with another image but I can't see anywhere where it is assigned to the game or called. Open space shooter.json with Tiled. Most of the bodies are declared there. Thanks but where and how do I open/display that window? The JSON file is located in the shared folder normally. Dim powerbody As "IMAGE FROM FILE HERE"
Ideally set the size too. 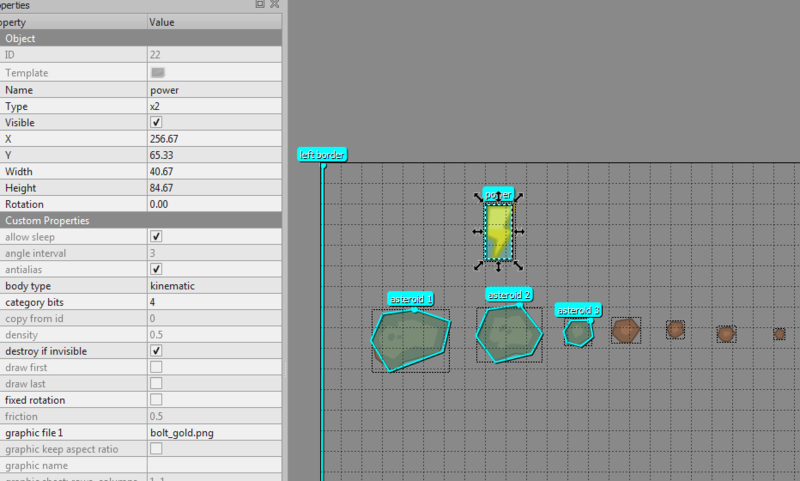 Does anyone know how to make the Object from image file without using the TileMap? Please have a look at the Monster Truck example and check for the box shape below the truck. This brings you on the right way. And as I remember right in Ilan's example the balls were created by code as well. At least in Erels last modification.